After an action-packed second ODI in Adelaide, India and Australia are bracing up for the decider at the iconic Melbourne Cricket Ground (MCG) on Friday. The series is set up beautifully at the moment as both the teams will lock horns for one last time on this tour. In a bid to win their first ODI series in last two years, the Men in Yellow have made a couple of changes to their line-up. Nathan Lyon makes way for Adam Zampa, the leg-spinner, while Jason Behrendorff has been surprisingly left out of the team for Billy Stanlake. Both the excluded players did well in the two matches they played but it seems that the home side wants some variety in their bowling attack after failing to defend 299 runs in the second game of the three-match series. Peter Siddle, the veteran, has managed to retain his place despite going wicketless in the previous game. While he ended with figures of 0/58 in eight overs, the left-arm pacer Behrendorff fared better than Siddle conceding 52 runs for Rohit Sharma’s crucial wicket in 8.2 overs. Even Lyon did the holding job well though couldn’t pick wickets in the middle overs which is crucial in modern day cricket. Zampa’s leg-spin will provide the much-needed variety for the home side and his variations might put the Indian batsmen under pressure at the MCG now. More than anything, Australia will also need their openers to click as they have been slow to get off the blocks due to the fall of a couple of early wickets. 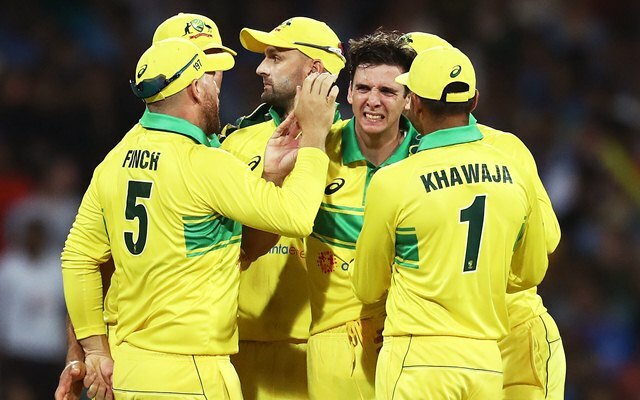 Australia’s playing XI for the third ODI: Aaron Finch (c), Alex Carey (wk), Usman Khawaja, Shaun Marsh, Peter Handscomb, Marcus Stoinis, Glenn Maxwell, Jhye Richardson, Peter Siddle, Adam Zampa, Billy Stanlake.